She’s fun, she’s fearless; she’s got a rare brand of attitude that makes your heart skip a beat. She’s a powerhouse of talent; a down-to-earth celeb who prefers to go solo and travel the world with her boho identity. 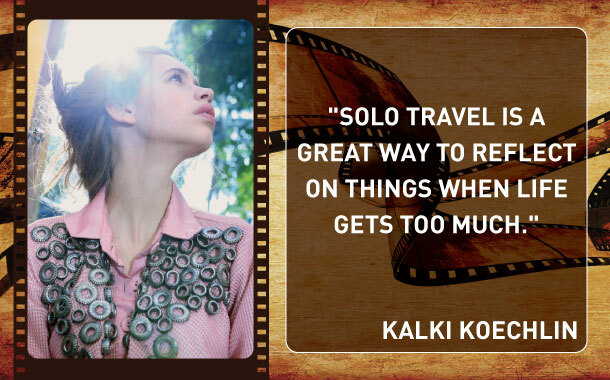 The gorgeous Kalki Koechlin is on her way to some major travel explorations. In an exclusive interview with Musafir.com, she shares her crazy and interesting travel experiences. What’s your idea of a perfect holiday? Kalki: A perfect holiday for me would be somewhere in the mountains where there’s no network, lots of happy sunshine and natural waterbody to swim. There’s nothing better than a place with homelike environment. What connects you to the world of travel? Kalki: Culture, food and the love for language. Do you have a favourite place in the world? Kalki: My childhood home in a small village called Kalahatty that lies in the Niligiri Mountains. What’s your idea of solo travel? Kalki: When it comes to travelling, places like Turkey and South America are on my list. Solo travel is a great way to reflect on things when life gets too much, and a great way to meet new people. 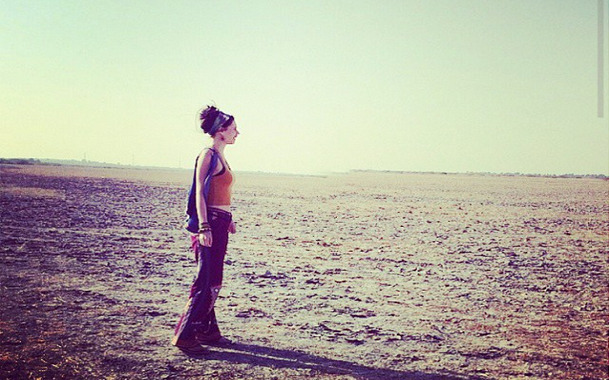 Women solo travel - to go or not to go? Kalki: There are several places where women travel alone. I have travelled to South India alone. Most of Europe is safe and so is Canada. I guess it's just about being culturally aware and wearing the right clothes to the right places. Kalki: Most experiences are bizarre, be it getting drunk with strangers, who speak a totally different language, or ordering food and not knowing what you're eating. Hotel receptionists in small towns can be unusual characters too. What’s your favourite food destination and cuisine? Kalki: I love Greek food and had an amazing food experience in the island of Crete. Kalki: Kamshet; a friend has a theatre residency near a lake there; it's beautiful. What do you miss the most here when you’re away? Kalki: Home delivery! Mumbai spoils us. A destination where you would love to relocate to at some point in life? Kalki: The south of France, in the Provence region. How does your journey move from here? Kalki: I try to travel at least once a year to a new place. This year, I'm planning a holiday in Bhutan for a festival, and a girly holiday to Sicily. Kalki loves France. Would you like to travel to France and find out why?